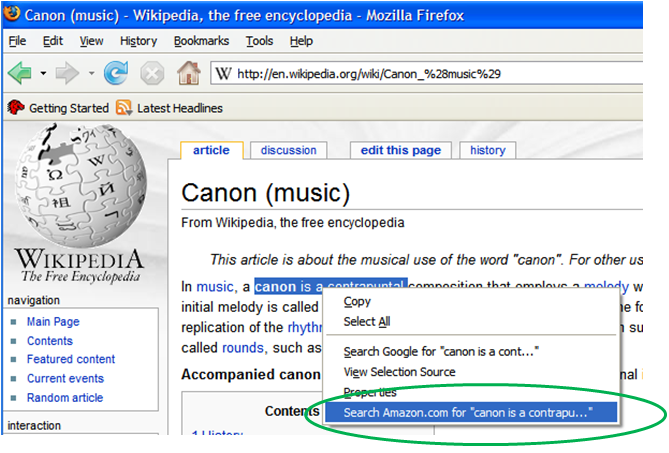 This plugin allows users to search for selected text on any site on Amazon similar to the Google contextual search menu. This allows the user to customize the Amazon locale (Amazon.com, .ca, .de etc.) to search on and the option to open the link in. 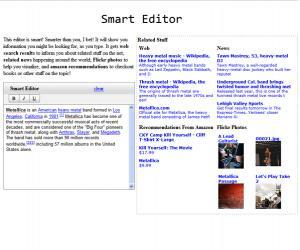 Smart Editor, a rich text editor that uses web APIs to gather relevant data from the web as you type. It gets web search results to inform you about related stuff on the net, related news happening around the world, Flickr photos to help you visualize, and Amazon product recommendations.